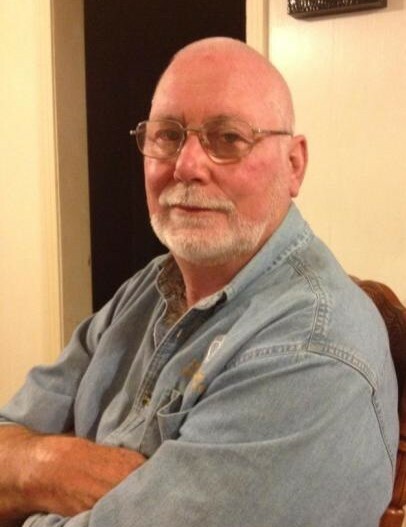 Terrell Dean Brittain, age 69 of Orange, Texas, passed away on Tuesday, December 4, 2018 in Beaumont, Texas. Services to honor Terrell's life will be held at 1:00 PM on Thursday, December 6, 2018 at Dorman Funeral Home Chapel with Rev. Kevin Brown officiating. Family and friends will gather for a visitation from 11:00 AM to 1:00 PM on Thursday, December 6, 2018 at Dorman Funeral Home. Terrell was born in Center, Texas on December 11, 1948 to Margarette Raymond Brittain and Terrell Olen Brittain. Terrell was member of the Local 195 and retired as a pipe designer from Huntman's. He loved to go hunting and fishing with family and friends, enjoyed watching golf and gardening. Terrell was an avid Dallas COWBOYS fan. He is preceded in death by his parents, Terrell and Margarette Brittain. Survivors include his wife Harriet "BeeBee" Brittain and children; Gidget Bergeron and her husband David of Bridge City, TX, Jason Brittain of Tomball, TX, Michael Simon and his fiancée Christina of Orange, TX, Rhonda Simon of Silsbee, TX and Danny Simon and his wife Diane of Dripping Springs, TX. Brother, Lester Brittain and his wife Yvonne of Orange, TX and sister, Shirley Craft and her husband David of Orange, TX. Grandchildren; Kolbie Kruft, Hunter Bergeron, Tonya Brittain, Katlyn Vaughn, Klaire Simon, Brooklyn Cooper, Christin Carrillo, Jackson Simon and Brittany Polasek. One great grandchild, Braxton Schlichting.